Further to our previous article UK Brokers : Your Brexit Solution there have been further developments and we would like to keep you up to date regarding the implications of a ‘No Deal’ Brexit and with only 63 days to Brexit we are seeing many entities action their contingency plans. Insurance Ireland (https://www.insuranceireland.eu/) have welcomed the announcement that the Irish Government has prepared draft legislation for a temporary run-off regime in the event of a no-deal Brexit. 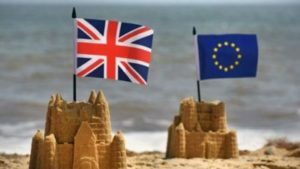 This will allow insurers and brokers from the UK and Gibraltar with Irish customers for a period of three years after the UK’s withdrawal from the EU. The legislation is exclusively for existing contracts that were in place prior to Brexit. The Central Bank of Ireland are taking a more conservative view advising that the legislation does not allow firms to write new business, including renewal of existing policies (http://www.centralbank.ie/news/article/–ed-sibley16Jan19). In any event this will mean that UK intermediaries will not be able to transact new business from 29/03/2019 and therefore would be restricted to existing renewal business. All intermediaries will want to ensure they have the ability to transact new business. The most conservative interpterion an existing book will be placed in run off with no ability to renew policies. We are currently seeking clarity on proposed no-deal Brexit legislation in other EU territories. As the possibility of a no-deal Brexit increases, it is critically important that insurance intermediaries have a plan in place to protect their policyholders and ensure they have a compliant solution for distribution. For further information please do not hesitate to contact either Kristy Collins or Robert Tyrell.